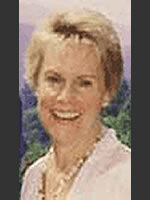 Janae Weingold, Ph.D., is a United Nations Consultant. She has been given the Women Helping Women Award. Dr Weingold is a former Adjunct Professor, University of Colorado at Colorado Springs. She is Founding Co-Director of The Bratislava International Center for Family Studies. She is an International Trainer in Family Life Education, ROZRADA, Kiev, Ukraine. A member of Colorado Children's Mental Health Coalition. She is interested in prophetic literature and 2012. Janae Weingold is a member of the Advisory Board of the Exopolitics Institute.